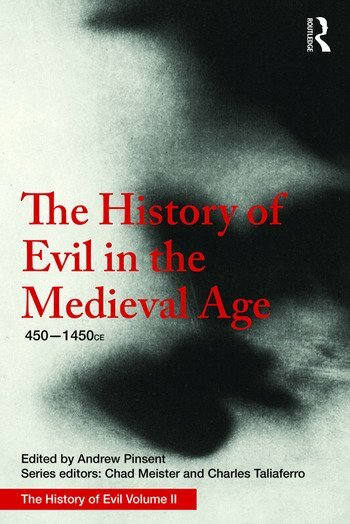 The second volume of The History of Evil explores the philosophy of evil in the long Middle Ages. Starting from the Augustinian theme of evil as a deprivation or perversion of what is good, this period saw the maturation of concepts of natural evil, of evil as sin involving the will, and of malicious agents aiming to increase evil in general and sin in particular. Comprising fifteen chapters, the contributions address key figures of the Christian Middle Ages or traditions sharing some similar cultural backgrounds, such as medieval Judaism and Islam. Other chapters examine contemporaneous developments in the Middle East, China, India and Japan. The volume concludes with an overview of contemporary transpositions of Dante, illustrating the remarkable cultural influence of medieval accounts of evil today. This outstanding treatment of the history of evil at the crucial and determinative inception of its key concepts will appeal to those with particular interests in the ideas of evil and good. Andrew Pinsent is Research Director of the Ian Ramsey Centre for Science and Religion at Oxford University, UK, a Research Fellow of Harris Manchester College and a member of the Faculty of Theology and Religion at the University of Oxford.